I’ll be honest: I don’t like complicated things. Long math equations, recipes with 15 ingredients… Trouble is, I cook most my own food now and I like to eat well. Not just college well, but actually healthy, substantial and delicious well. 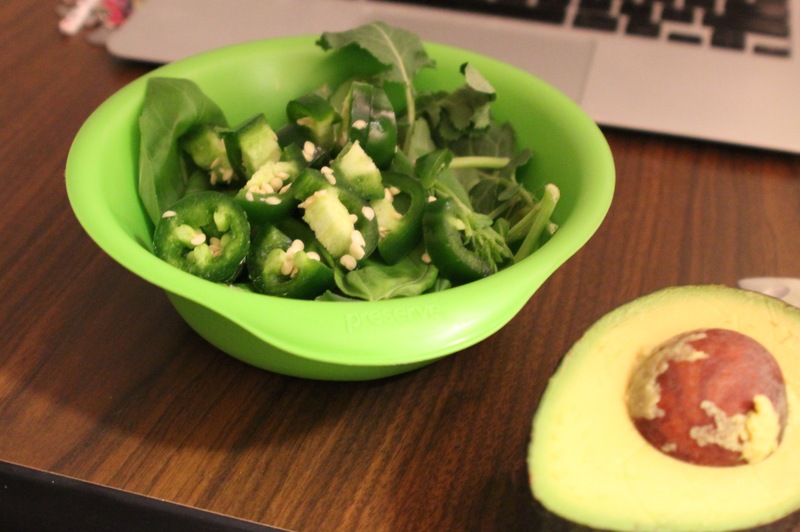 So over the past few months I’ve been training myself and have come up with this: A look at a day in the life of a lazy college vegan. 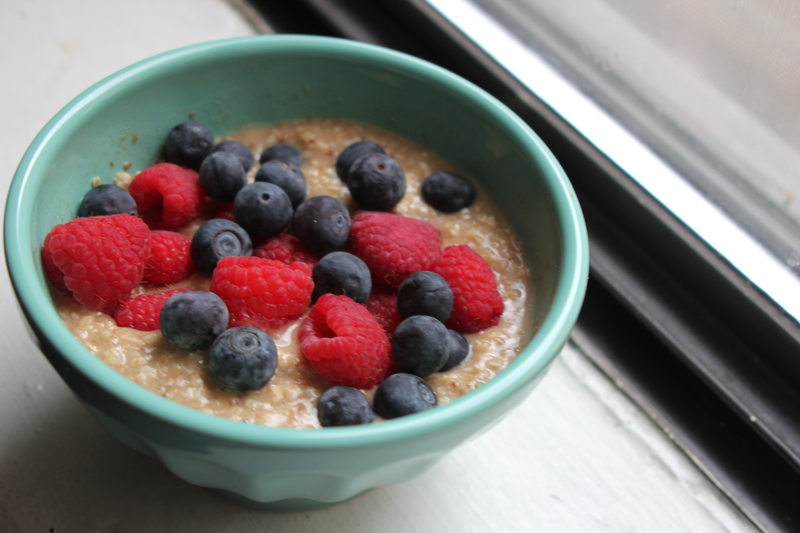 Health benefits: Oatmeal is so good for you you can’t afford not to love it. It lowers cholesterol, boosts immunity, stabilizes blood sugar, prevents breast cancer and is gluten free. Here I used the organic, instant kind from Whole Foods with cinnamon (which boosts metabolism) I add maca and ground flax for something special: Maca because it improves energy, strength, and stamina while reducing anxiety and flaxseed because it’s got lots of fiber and omega 3s. Since I like a solid breakfast, I use two packets of oatmeal and add 2/3 parts water 1/3 part vanilla almond milk for a creamer texture. Plus berries because they’re fantastic. And sometimes chia seeds because they’re tiny tasty miracles. 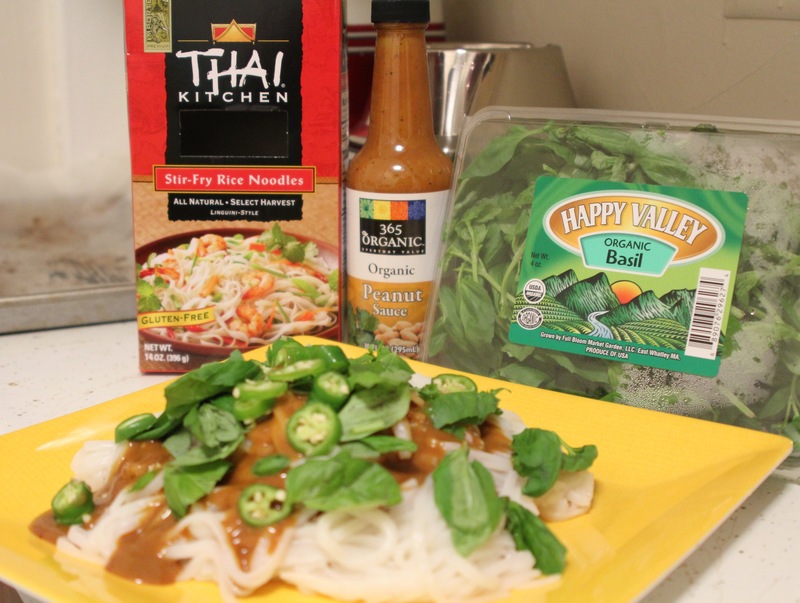 Health benefits: Rice noodles themselves aren’t anything special health-wise but they’re cheap, delicious, vegan and gluten free, so there. 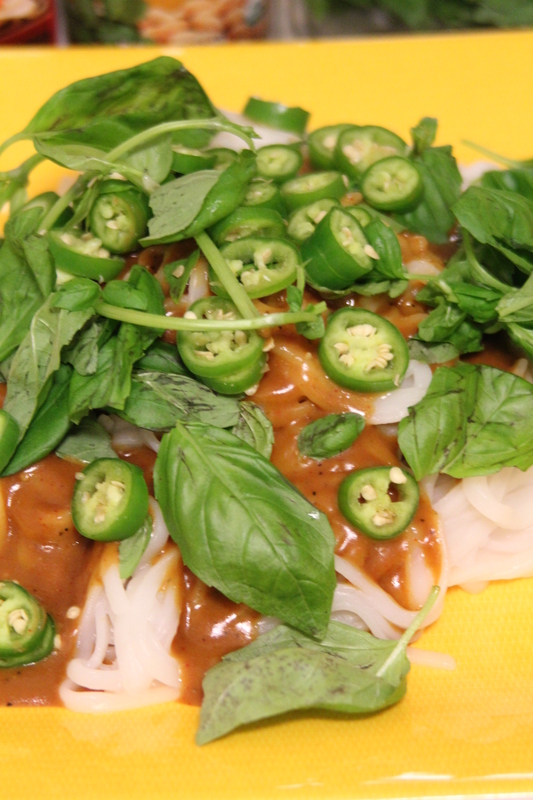 Basil and peanut sauce are two simple additions that will fill you up with healthy happiness for far less than that $5 footlong. Today I glammed mine up with too many peppers, but it’d also be great with chopped peanuts or shredded carrots. Health benefits: If you don’t already you should really try eating an apple a day. Fiber, vitamin C, a lower risk of heart disease, diabetes, and an endurance booster… as far as I’m concerned they’re the best raw fruit around. 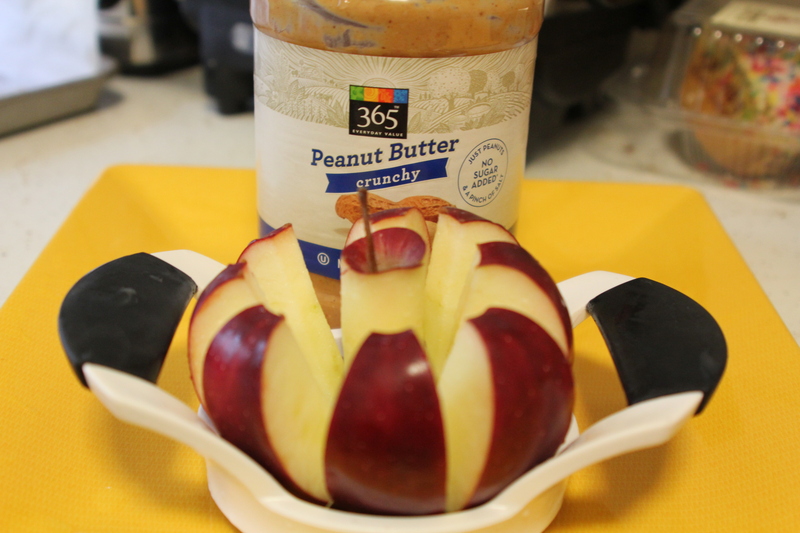 The peanut butter is especially important for me as a vegetarian because it has tons of protein in it (not to mention tastes delicious with them apples). I have them together almost every day. Or alternately, lentils or black beans. A veggie can never be too health-concious. Health benefits: Kale is a god send. Not only is it high in fiber, but it supports bone health, eye health, has a multitude of vitamins including tons of calcium, lowers cholesterol, and has carotenoids that help protect against cancer, heart disease & infections. 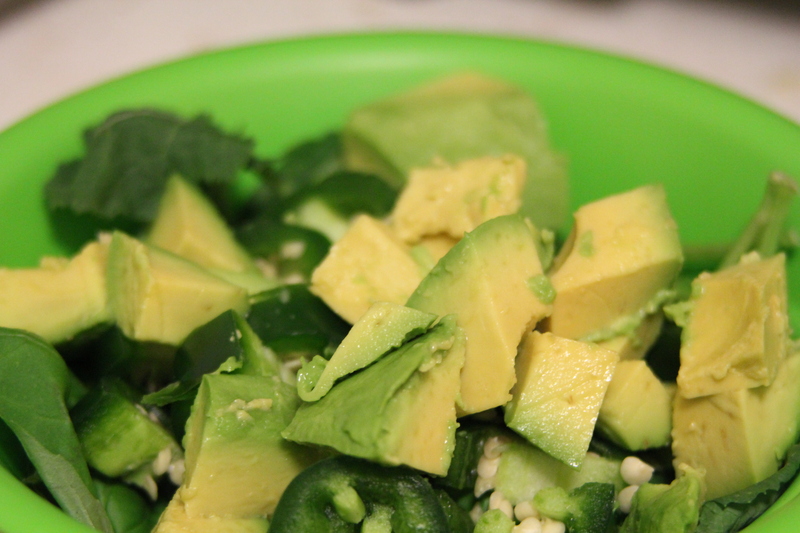 Avocado is great for the same multitude of things, as well as for keeping skin hydrated & smooth thanks to all its vitamin E.
Plus I’ll have my nightly glass of green tea because it’s also ridiculously good for you as well as delicious, and so relaxing to drink with honey after a long day. Fun fact! You can get 2 or 3 good cups of tea from a single tea bag. Keep saving those pennies for something else! 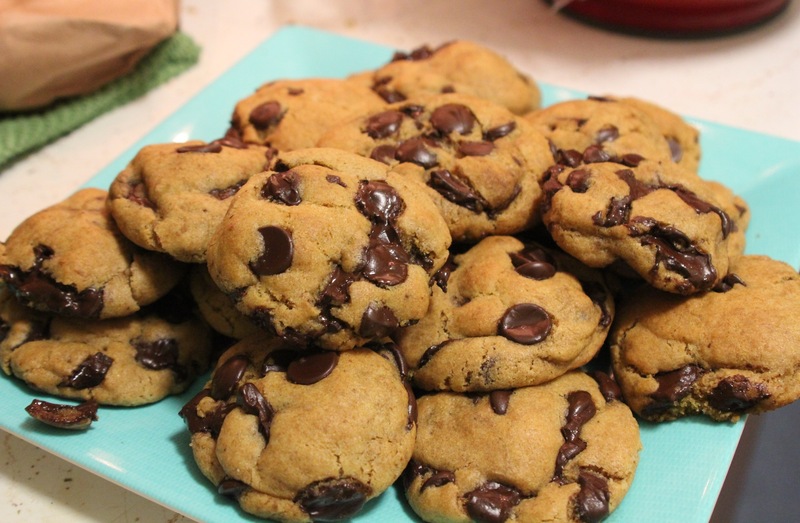 And these are just cookies I made for my friend’s birthday. Whoops! (Made here with real eggs and butter…) We’d found the recipe on Pinterest a while ago and finally had a reason to try it. So, so good!